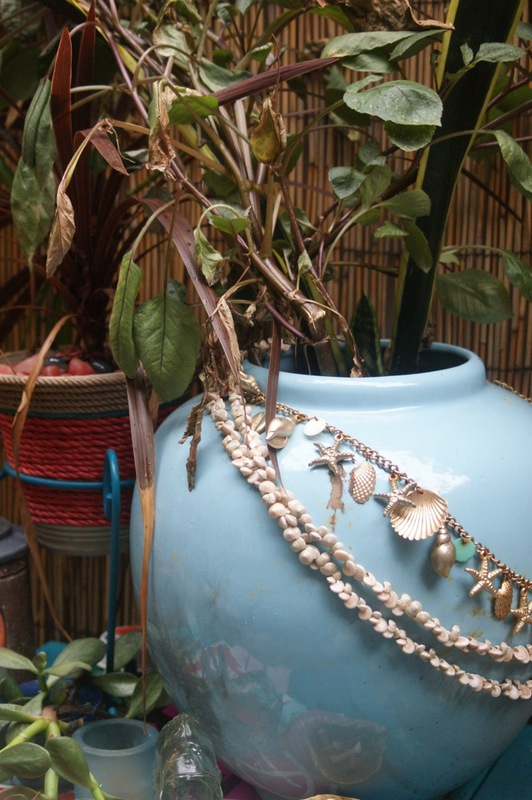 Who says your plants cant sport a charm bracelet or a shelled necklace? In my friend Heather Kerr's tiny Brooklyn garden, even her greenery get gussied up with a strand or two of jewels. Even though it's officially autumn, it feels more like summertime in New York City, reminding me of the day we headed out to Saltaire to photograph its charming cottages for The Find: The Housing Works book of Decorating With Thrift Shop Treasures, Flea Market Objects, and Vintage Details. Here's an outtake snapped by Jim Franco from that glorious day, where monarchs were still fluttering and the sun shone bright in the sky, despite the cooler weather that would soon be on the way. 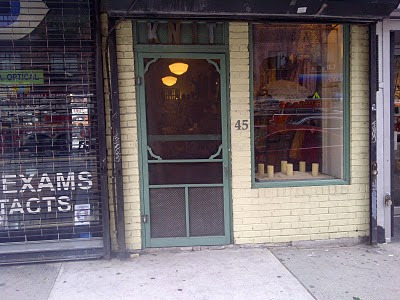 I recently recalled that magical day as I passed Downtown Yarns on Avenue A in the East Village. 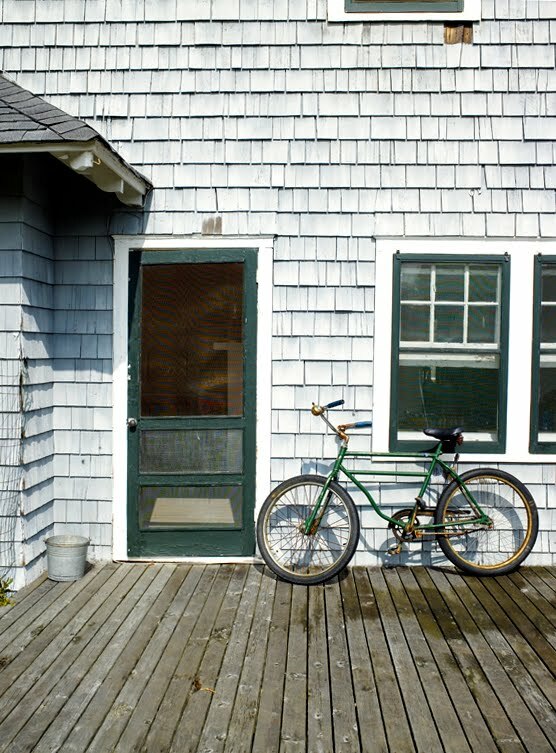 Right in the middle of the big city was this green screen door -- one that brought to mind the Saltaire beach community or a country home nestled somewhere in the Ozarks. It's this kind of door with only a bent nail for a latch that I remember from my Grandmother Churchill's house.We tuned our ears to listen for the gentle clack from her wooden screen door, which would gently slap shut after kids ran through it while playing a game of tag or a visitor stopped by on a Sunday for warm blackberry cobbler. It was a sound of welcome and wonder -- one I can almost hear on a day like today. 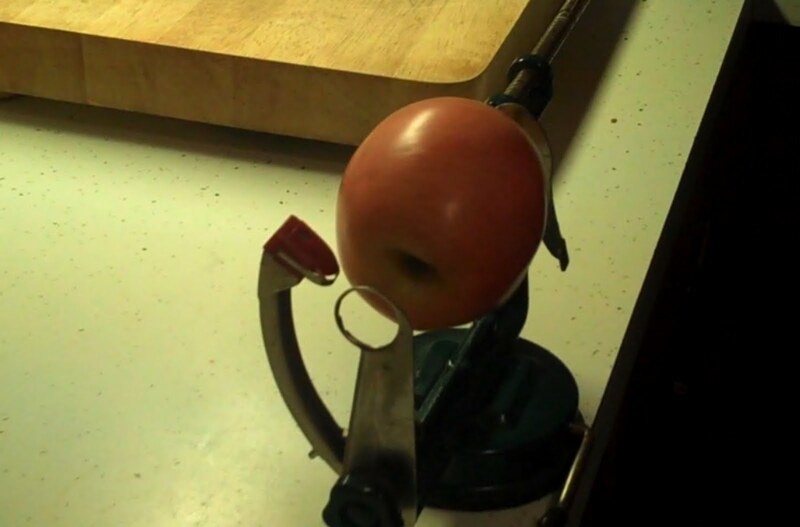 My eagle-eye friend Alice Quinn once again saved a treasure from the garbage heap. 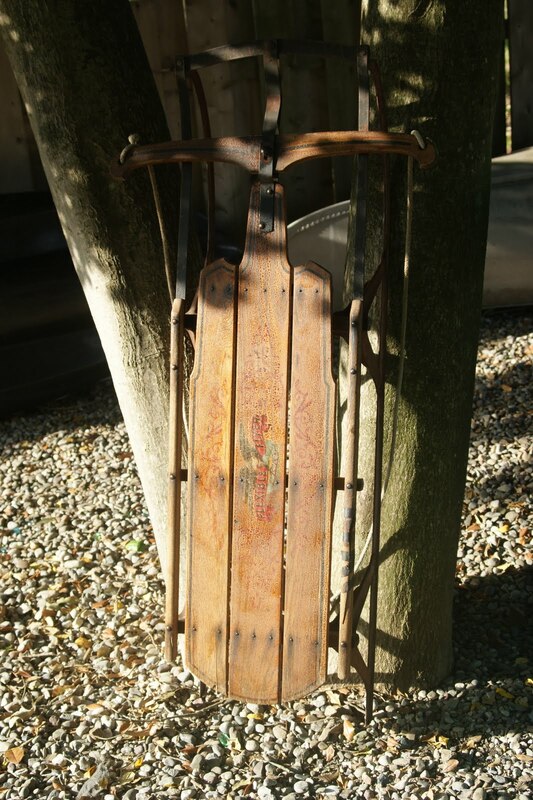 Now leaning against a tree in the back yard of her home in Point Pleasant, New Jersey, this charming wooden sled patiently awaits the season's first snowfall... or festive holiday display! Reuse & Purpose: Yes You Can! 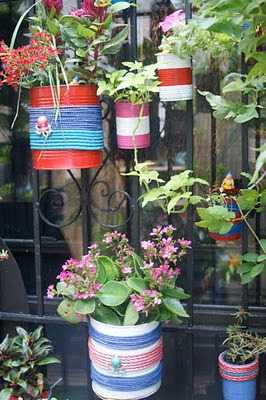 With painted tin cans wrapped with pastel rope, my pal Heather Kerr created a wall of nautical-inspired hanging planters on her teeny-tiny Brooklyn patio. And, there's still room to grow. People like their stuff. I know I do. I would never classify myself as a hoarder -- far from it in a one-bedroom, New-York-City apartment. I will admit, however, that I had to keep my collecting tendencies at bay last weekend at the flea market in New Jersey's Allaire State Park, where the goods were great, both in price and variety. Take, for example, this instant collection of animal figurines. As in a pet store, the vendor placed these cute creatures with take-me-home care. I resisted. If you should all of a sudden find yourself with a collection you don't know what to do with, such as this wild assortment of spice racks, go ahead. Display them in your home with pride. There must have been something about these objects that must have caused a frisson when you spotted them and carted them home. So celebrate them! Don't hide them away or drop bits and pieces throughout your decor. It will only make your space look like you are headed down the cluttered path to becoming .... a hoarder. 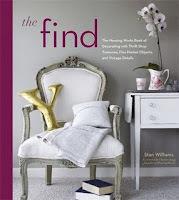 As we discuss in The Find: The Housing Works Book of Decorating With Thrift Shop Treasures, Flea Market Objects, and Vintage Details, you'll find more pleasure in sharing your gathered objects when you arrange them in planned vignettes or assign them all to place of honor. 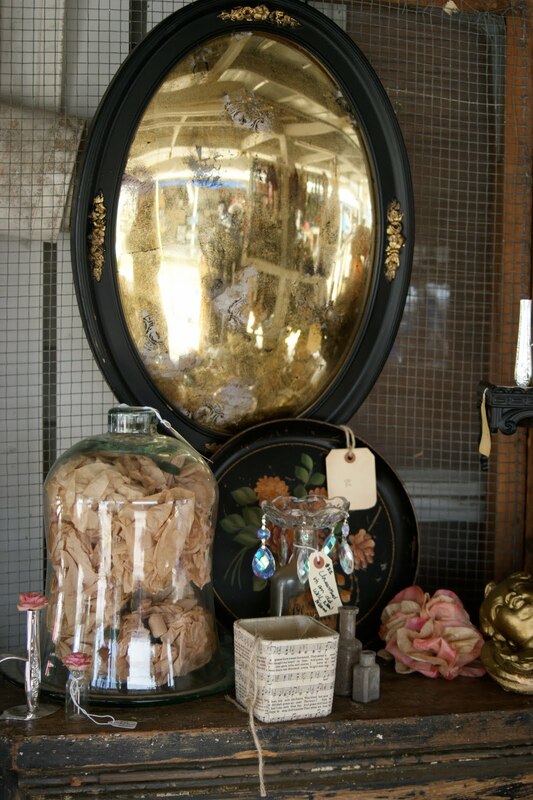 By densely grouping similar objects, you'll give your collection a curated sense and create an attractive focal point. 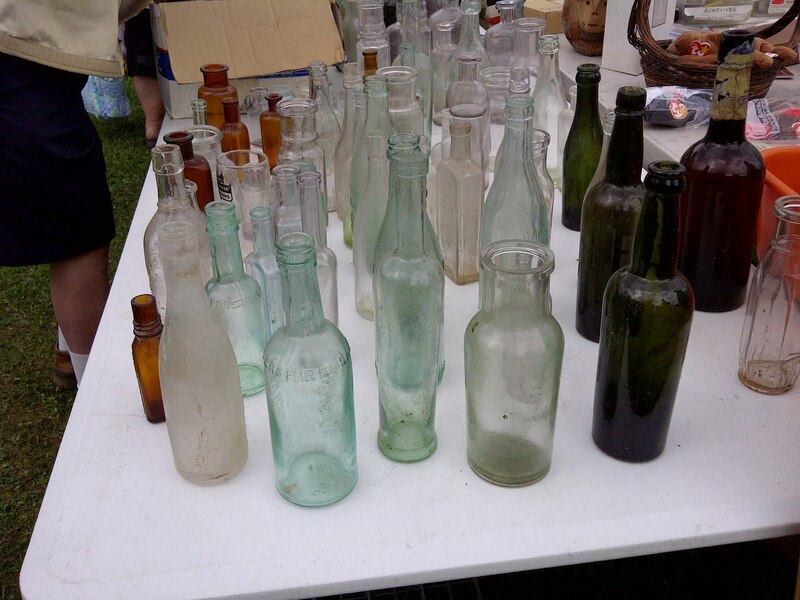 Even plain bottles, such as these spotted at the flea market in Allaire, can inspire a collection. 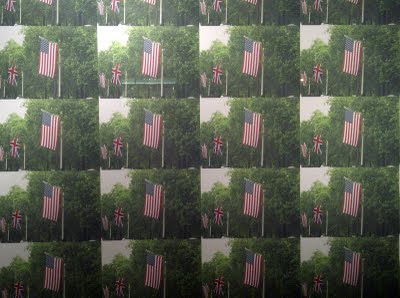 Group them by opacity or color and mix in different sizes to maximize visual vivacity. Decanters, plentiful at flea markets and garage sales, also make for charming vignettes. Here, Alice Quinn displayed her thrifty finds in her Point Pleasant, New Jersey, living room and added interest by staggering them by shape and size. While these vessels were discovered in different locales, their shared emptiness and their similar shiny glass textures make them appear as if they were destined to find each other. My favorite discoveries are the ones made on streets I walk each and every day. I've watched this space on Great Jones Street go from a work site to a set of doors covered with mysterious paper. 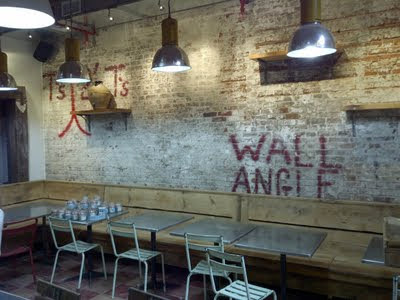 And finally coverings came off to reveal this stunning use of reuse and repurpose in a restaurant design. Il Buco Alimentari & Vineria on Great Jones, a relative of Il Buco on Bond Street, is set to open any day, offering an array of Italian delights. But it was this light fixture captured my gaze the moment I stepped through the front door. 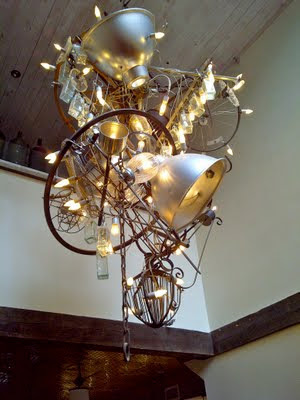 Made of an eclectic mix of items -- heavy chains, glass bottles, wheels, cast iron fixtures and more-- this hanging, glimmering structure was created for maximum shine and optimal texture. Even the main dining room makes great use of repurposed materials throughout, including this brick wall that was left just as it was when the space was home to a lumber yard. I wonder what would happen if I ordered a 2 x 4! Ever since I've been going to the dentist in New York City, I've gazed upon this framed print in his office while having teeth filled, enamels repaired and crowns molded. It's a celebrity-signed piece numbered 10 of 300 that came from a "Save the Children" charity event back in the 1980s. 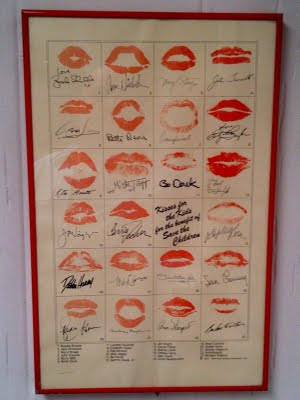 Stars range from John Travolta, Brooke Shields, Mick Jagger and Debbie Harry to Barbara Walters, Rita Moreno, Liz Taylor and Audrey Hepburn -- each who donned cherry red lipstick and puckered up for a cause. 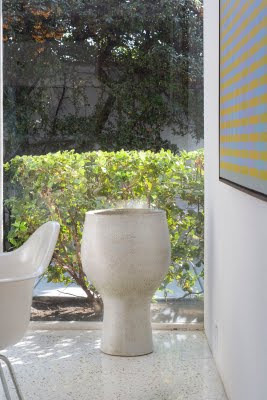 Since it's New York Fashion Week, I'm sharing with you an image from the Palm Springs home of GQ creative director Jim Moore. Featured in the pages of The Find: The Housing Works Book of Decorating With Thrift Shop Treasures, Flea Market Objects, and Vintage Details, this photo by Bob Greenspan demonstrates how a refined eye can spot a treasure among others' castoffs. More says he found this piece of Arch Pottery heaped with junk at a local thrift store, and it wasn't even for sale. 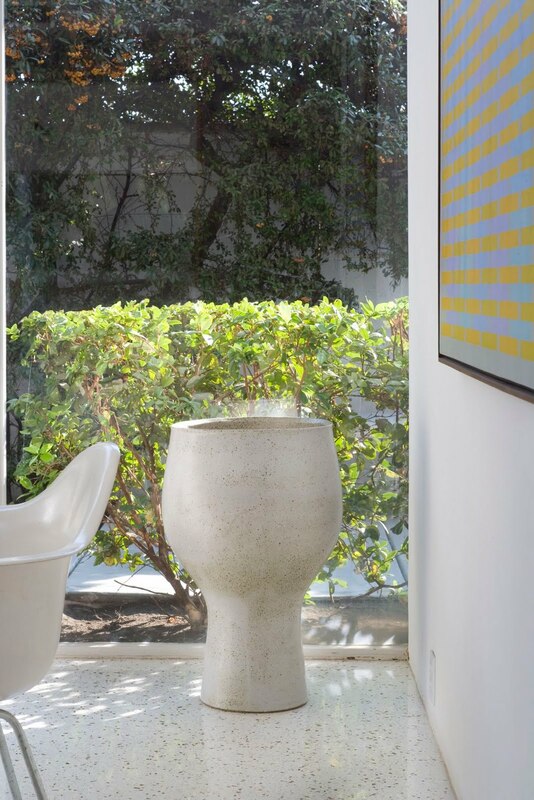 Moore was persistent, however, and negotiated a $40 price to take home to his 1960s Donald Wexler Home. He placed it underneath a painting he literally bought off the back of the truck. When he spied it, he was prepared to pay the driver up to $2,000. In the end, he nabbed this bold, geometric piece, which later inspired a tie by Savile Row tailor, Richard James, for a mere $200. Being that it's Fashion Week in New York, here's a story I shared a while back about a speed-garage-sale-shopping moment in California. I was here when it happened, and I will never forget. 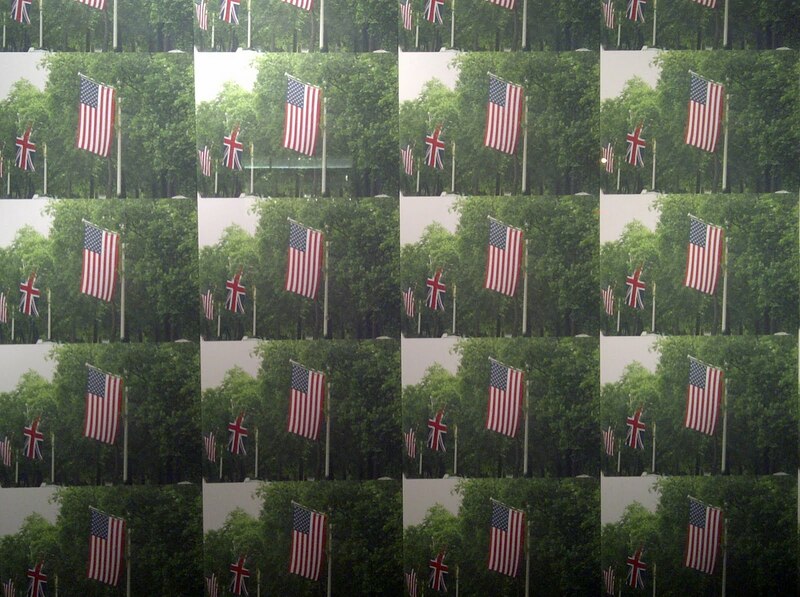 From the Paul Smith windows on Fifth Avenue. 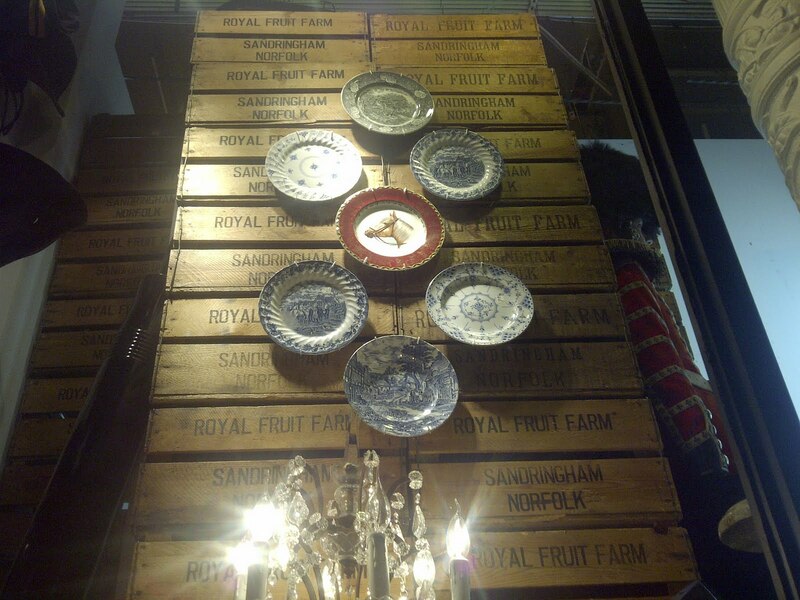 You don't have to have fancy wall coverings to create a dramatic background for your collection of china. In the window of ABC Carpet and Home, the creatives there stacked wooden fruit crates as a novel way to show off mix-and-match vintage plates. 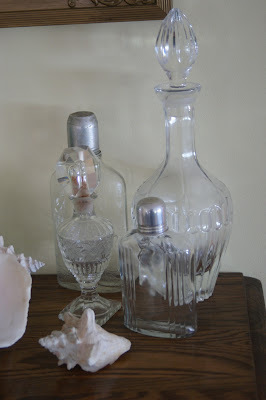 Frugal Fun: Mix it Up! 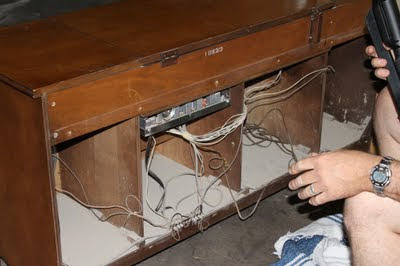 A friend sent me this image of a mixer his grandmother once owned. It reminds me of the one my grandmother once used to mix up all kinds of delights in her bare-boned kitchen that never housed a food processor or a microwave oven. 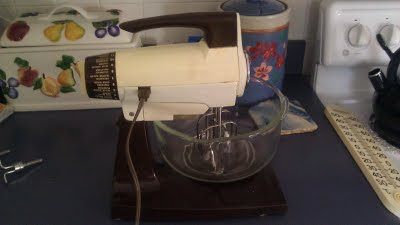 As much as technology has advanced in the world of cooking, I'm sure this sturdy, vintage stationary mixer works just as well today as it did some 50 years ago. With the fall flea markets quickly approaching, it's an appropriate time to share a post from the past reflecting on a familiar find -- mirrors. 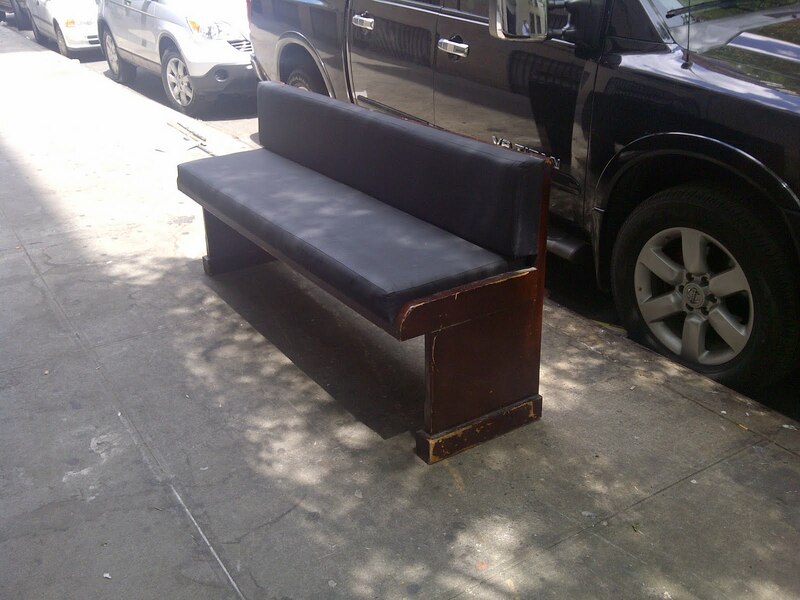 I know it's Labor Day weekend, but someone has their work cut out for them when they snap up this wooden bench just sitting in the street awaiting a new owner. How would you transform this castaway? Headed to the beach for the long weekend! 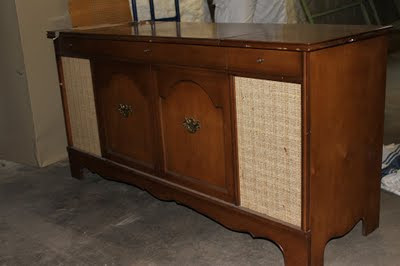 Reuse & Purpose: Hi-Fi High Fives! As much as the digital universe has taken a destructive swipe at the analog world, one of the best things about the former is that it connects people to those they haven't encountered in years and to those who share similar interests all over the world. I did both when I re-discovered two high school friends who married (each other, albeit years later!) 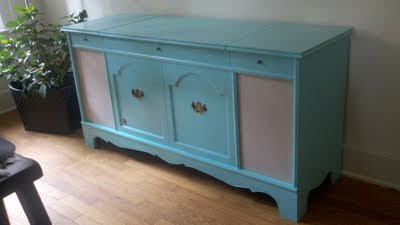 and share a similar interest in vintage and thrift that I do. These high school pals, Scott and Greta Sutherland, found this General Electric console at their favorite Kansas City thrift shop and shared its story on her blog, My Life as G.
Greta tells me that over the past few weeks, they've been listening to the vinyl of Frank Sinatra, Nat King Cole, REO, Journey and ... yes ... Shaun Cassidy. I bet he's never sounded better!